2 Disc edition. 2nd disc contains extras. Comes with outer tin slipcase. In the year 2080, human clones with artificial intelligence replace manual labor in Natural City. Each clone has its own expiry, but few are willing to accept the fate of recycling. An MP force is therefore formed to dig out those expired clones. R, a member of the MP force, falls for an expiring female clone, Ria, but does not want to be left helpless to see Ria being terminated. R finds out that Dr. Giro knows the trick to continue the life of Ria. Could R save the life of his beloved? I first saw a trailer for Natural City several months before its theatrical release in South Korea, and that trailer made it look good. In fact not just good, but really good. There was still doubt though, as the South Korean film industry's track record with sci-fi films has not been good, with almost all of them being big budget failures. I have no idea how Natural City has performed at the box office, but from the trailer it certainly looked as though this sci-fi film was a step in the right direction. Such was my anticipation for the film, Natural City has the pride of being the joint first Korean release of any film that I have ever bought. I've always been the type to wait for a cheaper Hong Kong or Thai release for Korean films, but I didn't for this one. The other film I bought at the same time was the Korean release of My Sassy Girl, which will hopefully be reviewed in the next few weeks (at the time of writing). Anyway, that has nothing to do with this review but more to do with the effect the trailer had on me... certainly is an indication that the people who made the trailer did their jobs properly. First impressions about the story, even from the trailer, were that Natural City was going to be a Korean take on the classic that is Blade Runner. Both feature cyborgs with limited lifetimes, policemen (or some equivalent) who are employed to hunt down rogue cyborgs, cyborgs wanting longer life and a close relationship between a human and a cyborg. While these similarities are there, Natural City is not a remake of Blade Runner. In the latter, from what I recall, once the film got going one of the central plot threads was the relationship between Deckard (Harrison Ford) and the cyborg Rachael (Sean Young), whereas in this film the relationship between R (Yu Ji-Tae) and Ria (Seo Rin) is always a secondary plot thread, and I feel is always in the background to the main elements to the story. Before I start going into what they are though, I should probably give a quick account of the film's plot, just to set the scene. It is the future, about 2080 to be more precise, and cyborgs are commonplace, but have a limited lifespan. Much like in AI cyborgs are built with specific tasks in mind, whether it be combat or dancing. The combat cyborgs in particular are extremely lethal, possessing more strength, speed and agility than their human counterparts. As seems to be the way of things, with artificial intelligence and independent thought comes the chance of rebellion, and that is just what has happened with a few combat cyborgs. For unknown reasons a group of combat cyborgs, lead by one called Cyper, have broken into a top government building. To fight against the rebellious cyborgs are the MPs, a group of policemen who, fortunately, don't appear to be in short supply of personnel! The top MP is R, a man who it quickly becomes clear has a private life that is frowned upon by his superior and old friend Noma. R has dealings involving cyborgs, and is in love with one, namely Ria, a dancing cyborg at a nightclub. When off duty, he is trying to get help from a black market dealer to stop the degradation of Ria, and allow her to live longer. To make this happen, he needs the 'help' of one woman, a prostitute named Cyon. However, the cyborg Cyper has his own plans which inevitably end up involving all the MPs, and further stressing the relationship between R and those around him. The basic story in Natural City I have to concede is really good. It definitely has echoes of Blade Runner, but it is handled in such a completely different way that the similarities are forgivable and easy to overlook. While R's relationship with Ria is the motive for pretty much all his actions, this storyline, as I've said, is always in the background to everything going on around it. The main plot thread revolves around the actions and intentions of the cyborg Cyper, as that has a direct affect on everyone in the film. He is out primarily to gain longer life, and secondarily develop a lot more combat cyborgs which will basically kick human arse. That thread encompasses the action side of the story. The main side of the story relationship wise is between R and Noma. We learn that they were once very good, close friends, but that since R got involved with Ria he had changed, and their relationship had seriously suffered as a result. Their relationship is focused on in the film a lot more than that of R and Ria, which isn't fleshed out that much at all, leading me to believe that this film is not about a human relationship with a cyborg (which a lot of people believe it is), but is more about the affect cyborgs have on the relationships between humans. All that is good and well, but what really matters is whether the film is any good or not. 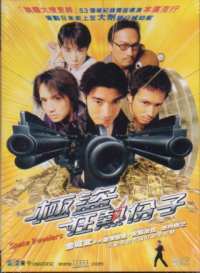 When it is trying to be a drama, does it succeed, when it is an action film, does it have good action and entertain? Well for the latter I unequivocally have to say yes. That doesn't mean it is perfect, far from it really, but it certainly is very entertaining. 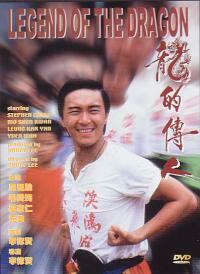 The more drama-orientated scenes, though, are where the film falls shortest. Regardless what way you choose to look at the film in which relationships it is trying to comment on the most, all are lacking in some area. Firstly the relationship between R and Ria. When we first see them together, the scene is perfect. It clearly shows their feelings, and everything between them is believable. R is in love with Ria, and that is plain to see. But from then on whenever they are together his character just doesn't seem to be the same towards her. If anything he is quite distant with her. This does not make everything he does that believable as I found myself questioning his relationship with her. It seemed as though he was just doing what he was doing because the script said his character was in love with Ria... this chemistry and demonstration through interactions with her was not really on display after when we first see them. If that first scene had come later in the film, then the memory of it would have been fresher, and this negative feeling would not have been as strong. It didn't, and while this first scene perfectly summed up everything we needed to know between them, it was to be weakened by subsequent scenes. Where information was seriously lacking for the viewer was in the history between the two. Why was R in love with Ria, even though she was a cyborg? Given that she has a lifetime of three years, how long had they known each other? None of this is mentioned in the film, and indeed all the prior history between the two remains a mystery. That being said, the lack of information does not hinder their story. Their plot thread is secondary in the film, and you don't need to know any of this to further their story. As girly as this is going to make me sound, if anything the mystery of their past adds to the romanticism, giving more imagination rights to the viewer. The main relationship that is covered is between that of R and Noma. As I've previously stated the viewer learns that they were once good friends, but now, clearly, are not. We learn that it is since R's involvement with Ria that things had gone sour. In the film there is little development in their relationship. We see that it starts of with negative tension, but familiarity, and swings a little bit one way to the stage where they are at blows with each other, to a little bit the other way, where things are a little better. But until the nigh on the very end, there is little significant change. This story could definitely have done with more background information. We are given just enough to know what has happened since the past, i.e. we learn that they were good friends but are not now, but that is it. More explicit detail on how and why they fell sour was really required to flesh out their story and bring the viewer's emotion into it. As it stands the viewer remains somewhat distant to the two of them, as we see the good and bad side of both their characters, but not really of their involvement in the development of their relationship to its current state. Neither is preferred in this context, so a slight sense of apathy towards them is instilled in the viewer. Anyway, enough of all that deep plot talk, onto other aspects of the film; first the action. All the action scenes in the film are definitely cool and entertaining to watch. There is quite a lot of style in the shooting of them, with slow motion and other tricks being used effectively. Unfortunately, where quite a few of the scenes suffer is in the editing and the proximity of the camera to those in the scene. The latter is mainly applicable to the hand-to-hand combat scenes. Quite a lot of the time the editing is fast, barely letting you soak in what you are seeing, so anyone looking for some good wide angle action will be disappointed. For the hand to hand combat scenes, particularly the brawl in the bar, the camera is far too close to the action, making it difficult to see what moves are being pulled off etc. This is a shame as in the extras you see some of these scenes being filmed and they looked even better from the distance the 'Making Of' camera was located at. The same is also true for a couple of shots in the gunfight scenes, as you miss, or just see the tail end of some of the moves the female combat cyborg is doing. All that being said, the action still has a style to it that makes it very entertaining to watch. There are lots of bullets flying around and people being killed to keep most people happy! For atmosphere, on a number of occasions the film uses a different technique to a lot of other films. Some films put in a moody orchestral score or something like that to help enhance the tension or general atmosphere in a scene. While Natural City does employ this technique, on some occasions it uses another. Silence. No music, just the natural sound from the things in that scene. The most effective scene for this has to be the fight between R and Cyper at the end. In this 7 minute or so section, there is absolutely no music at all in the background, and for me this was a masterstroke, as that fight was one of my favourite scenes in the film. All the sounds that you hear are the voices, the crackling of the electric cables, the sound of feet crunching on broken glass and the impact of the strikes in the fight. While there was no complex choreography about the fight or anything like that to set it apart from other fights, the use of the lack of sound greatly enhanced the scene as it brought to the forefront the natural sounds, making it one of the most memorable fight scenes I've seen in recent productions in a long time. Being a film set in the future, a future city had to be designed which was made in CG. Flop or success, what Natural City has certainly shown is that in terms of CG, the South Korean cinema industry has what it takes to compete right up there with Hollywood. A lot of the CG work is flawless, and generally looks stunning throughout the film. There are some little bits here and there where it's not quite up to the top standards of Hollywood, but it is still very impressive. There were no scenes at all which looked fake due to the CG. Acting wise, Natural City isn't ground breaking. I personally felt that each person gets their job done decently, but with no frills or anything like that. No one was bad in their role, and equally no one was amazing. Possibly the highlight, but only just, would have been Seo Rin as Ria. Being a cyborg in the last days of her life, she did come across quite helpless which I thought fit in well with her character. Aside from that, there isn't really anything more to mention here! That pretty much is all the main points that I wanted to make on the film, all that remains are a group of little comments about the film. In some scenes the camera panning was quite jerky looking. I've no idea if this was due to the CG in the background, bad DVD encoding or what, but for a few seconds here and there it was a little off putting. In the realism side of things, there are two comments, the first about something unrealistic. The combat cyborgs are pretty much elite soldiers. One is able to wipe out most of an entire squad of MPs, yet near the end Noma is able to take out several single-handed. Surely this shouldn't be the case?! The thing that I thought was incredibly realistic was R's vomiting scene! Usually in films when you see someone vomit, for it to look realistic there is a cut before they vomit so that the actual camera shot of them before they puke is very short, allowing them to have the fake vomit in their mouth ready to spew out. That does not seem to be the case here! The scene is reasonably lengthy, R is talking to someone and smoking, nothing apparent in his mouth, and then he just turns towards the camera and spews up on the ground! Maybe it looked so realistic because it was real, I don't know, but it certainly was well timed vomiting! Well that's me said pretty much all I can think of to say about this movie. To sum up, it is a good entertaining film, but with a few flaws in the fleshing out of the story. It is not action packed, but what action there is, is very entertaining to watch and the final fight, in my opinion, is very memorable. I certainly recommend Natural City. Natural City comes with solely Korean audio in a choice of Dolby Digital 5.1 or DTS 5.1. The surrounds are actually used a lot less than I was expecting. With action scenes in films, I tend to expect gunfire or the like to fly around the soundstage, totally immersing you in the action. This didn't really seem to happen that much here. Upon re-watching different scenes, I realised this was because the volume levels for the surrounds, most notably the rears, were quite quiet in comparison to the main centre speaker. That being said the opening titles sequence incorporates full soundstage quite well. All the audio that there is, is of a good clear quality. The effects for the action scenes stand out the most, especially the final fight scene. The crunching of the contact being made really adds to the scene, as you hear everything little detail. This is made easier by there being no music admittedly, but it all sounds good anyway! Unfortunately there is a slight timing problem with the audio. All sounds come in just a small fraction of a second later than they should. This is very easy to overlook and not notice for most things, but for speech it is more noticeable. However, I noticed that it had got better, if not completely corrected around 60 minutes or so into the film. This could have been after the DVD layer change. The English subtitles are basically very good. The grammar and spelling is essentially perfect, with only two errors that I noticed. Both times, it was two words being the wrong way round in the sentence. The timing also was a little suspect on some occasions, coming on screen a little too late, and therefore not really running in time with what was being said on screen. This was most irritating when there was a two-way conversation going, as the subtitles from one person's side of things over-ran into the other person's speech. On other occasions the subtitles weren't on screen long enough, and I found I had to rewind the film so that I could get a better chance to read them. Those few criticisms aside, the English subtitles are very good. Being a very recent film, 2003 I think it was released in South Korean cinemas, a clean film print would be expected. Fortunately that is also what has been delivered. Upon re-watching some scenes I noticed a few speckles but that is it really. Detail levels are good but not great for the most part. Some scenes look better than others though, with detail appearing to be very high. I'm guessing this is just due to different film reels or something like that. Colours are quite a hard one to judge. A lot of the film has clearly had different colour filters used on it to bleach out colour, make it look redder, etc. so knowing how well the colours have been reproduced is difficult. All I think I can say with confidence is that in scenes where very little colour filtering is apparent, the colours did look reasonably vibrant. Grain is evident at times as well, mainly during the darker scenes, but I found you can only really notice it if you are deliberately looking for it, which I was when writing this bit of the review! In the final fight scene, I also noticed one quick flash of digital effects. This may have been caused by dirt on the disc. All in all, it is a very good print, but not amazing. 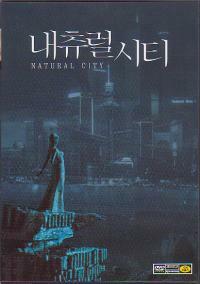 Extras are where this DVD of Natural City scores very highly... if you speak Korean. With 2 DVDs, the second one devoted solely to extras, there is a reasonable amount to choose from. On the film DVD, there is an audio commentary, a teaser trailer - which makes the film look more action packed than it really is - and the theatrical trailer - which is fairer in the balance of the action. The second DVD has its extras spread into two sections: In The Frame and Out Of The Frame. The first extra in the In The Frame section is called The Story Of Natural City (or at least I assume it says Natural City as the last bit is in Korean, only 'The Story Of' is in English). This is approximately 24 minutes long and shows quite a bit of behind the scenes stuff, the miniature models used in the film and how some of the scenes were shot. Next there is a Making Of... 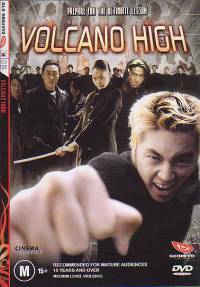 This runs in at about 46 minutes, and for the non-Korean speakers, it shows how other scenes were filmed, and is quite like The Story Of. Next up are the Deleted Scenes. There are four in total, and the quality isn't that great on them. It clearly had been decided reasonably early on that these scenes would be cut from the film, and as such the audio and special effects have not had the postproduction the rest of the film has had. In fact, there are no special effects in these scenes. Next there are Cast Interviews. The three leads are all individually interviewed, and these run in at between 4 and 7 minutes. Lastly in the In The Frame section there is Keywords Of Natural City. This is purely a Korean text affair. In the Out Of The Frame section, first up is something that I don't know the name of as it is completely in Korean. It is about 21 minutes in length and looks as though it is mainly an interview with the director discussing different things about the film. Next up there is The World Of Natural City. This is about 14 minutes in duration and shows a lot of the CG effects in the film, before and after. Next there is a Making Of The Title Logo. This is 8.5 minutes long and does as its name suggests. Penultimately there is the Cannes Promo trailer. This one has an English voice over. Lastly there is a Gallery section. This is split into three parts: Still, Art and Sketch. Overall there are quite a lot of informative and interesting extras here, but all are in Korean with no English subtitles. The DVD comes packaged in a normal double DVD case with a metal outer slipcase (which looks quite cool! ), and a insert which gives details on the world's timeline up to the date that Natural City is set in. The headings for everything on this insert are in English, but the text that goes with them is in Korean. All DVD menus are in English, except some bits on the extras disc where some of the options are in Korean. Natural City is one of those films that from its trailer promised so much, but didn't quite manage to live up to those expectations. This is undoubtedly one of the reasons for some of the negative talk that there has been for the film. Regardless, it is still more entertaining than a lot of other action films that are out there. I'm only giving it 3.5, but in Natural City there was a 4.5 film wanting to get out. Had the story been fleshed out a bit more effectively, and the action scenes not been quite so close to the action, I honestly believe I would have upped the mark. As it stands Natural City is a very good film which could have been great.